For more than four decades, Robert Jellen has worked behind the scenes to ensure beloved television shows and movies hit the silver screen without a hitch. 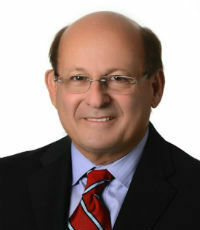 Throughout his career, Jellen has has provided insurance solutions for major studios, television networks, independent film and television producers, and Fortune 500 advertisers and advertising agencies, , including Viacom, MGM Studios, Paramount Pictures, Amazon Studios, United Artists and more. He has even been credited on-screen for providing production insurance for a movie. Today, Jellen leads HUB’s Entertainment Industry Solutions division as managing director. He has changed the way television producers purchase insurance, including creating the film tax incentive in 2009 so filmmakers can protect themselves and insure the tax incentive/rebate they expect to earn on.